My Bargain Basket: High Value Coupons: Dove Deoderant and Aveeno! High Value Coupons: Dove Deoderant and Aveeno! There are couple of Hot New High Value printable coupons available. 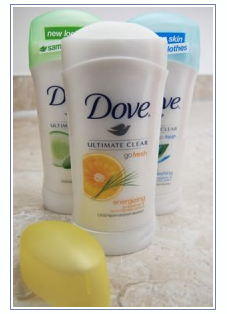 The Dove deodorant one is very hig value and many times you can find this one on sale and should be able to score FREE deodorant with it. HURRY!!! Probably won’t stay up long. Each can be found under the personal care tab. It's Mega Swag Bucks Friday! Aveda: Free Sample of Aveda Hand Relief! Old Navy: Wholey Moley 30% Off Sale! Free Kotex Pantiliners at CVS! FREE Sample of Eucerin Lotion (Another Link)! The New My Bargain Basket Will Be Up Later Today! Sally Beauty Supply: Nail Polish $0.49 Shipped! Card I made w/ the Kodak Deal! Jamba Juice: Specials thru May! CVS: Two FREE Kodak Picture Movie DVD's! Off Cip on Deal at Walgreens! Walgreens: FREE Halmark Cards Plus MONEYMAKER! Walgreens: Aveeno Travel Kit Deal! FREE Fig Newtons and Wheat Thins at CVS! FREE Bumpits via Facebook -- HURRY! Sears: FREE Tender Moments Collage! Snapfish: FREE Photo Flipbook (1st 10,000 Only)! Earthbound Farm Organics: FREE Reusable Bag! Babies R Us: Fill-A-Bag Clothing Sale! FREE $30 P&G Coupon Booklet (New Link)! FREE 10-Day Supply of Clear Skin Acne Wash! FREE Sample of Eucerin from Walmart! Did you get your Merona Bag at Target? Shape Magazine: 1-year Subscription for $3.64! FREE sample of OrganYC Feminine Care Product! FREE Target Merona Socks Too! ArtsCow: FREE Photo Coasters and FREE Shipping! Possibly FREE Merona Handbag at Target! CVS: Sheri's Deal Favorites 4/18 4/24! Walgreens: Sheri's Deal Favorites 4/18 - 4/24! FREE Sample of John Freida & coupon for $2.50/1! FREEli'l Pals Collar and Leash ($12 value)! Old Navy: Stuff and Save Sale 4/16-4/29! Staples Coupon: $10/$50 (exp 4/17)! FREE Sample of M&M's Pretzel via Facebook! Buy 1 Get 1 FREE Movie Ticket! -- HURRY! Target - FREE Quaker Oatmeal Cups Again! Target: Possibly FREE Purex Fabric Softner! A&W: FREE Root Beer Float or Freeze! It's Mega Swag Bucks Day! $2/1 Oreos or Chips Ahoy Coupon! FREE Sample of Fizzy Wizzies for kids! Sock Puffle with Sunglasses Craft for Kids! FREE 2ct. Sample of Cascade ActionPacs! FREE Brownie from Aspen Brownieworks! Home Depot: Buy 1 Get 1 FREE Tree Coupon! Olay: $20 rebate w/ $50 purchase! Walgreens: FREE No Nonsense Knee Highs! Blog design by:AskGraphics. Header Design by Sheri@mybargainbasket.